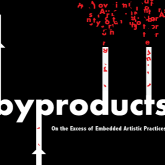 This week we’ll be talking with Marisa Jahn, currently in the throes of compiling and editing a collection of essays and conversations entitled “Byproducts: On the Excess of Embedded Art Practices,” to be published this fall by YYZ Books (Toronto). 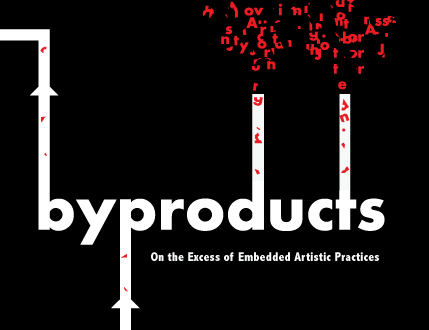 “Byproducts” examines art-related projects — many of which have been discussed in the context of Plausible Artworlds — whose artfulness lies in building micro-worlds within other non-artworld systems. While parasitically reliant on the socioeconomic structure and symbolic order of other dominant systems, these artworks or “byproducts” — exploit loopholes, surpluses and exceptions in order to affirm individual agency and complexify the mechanisms of their dominant “host.” As pivots or turning points between art and other sectors, these works function as carriers for meaning across disciplines.